Great Planter Tips for Homeowners. After this you will be able to plant a wide range of plants of a small space. 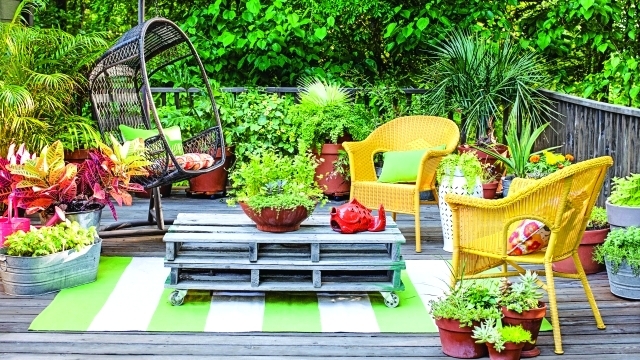 Many people live in apartments/flats, but this does not mean that you cannot be involved in enjoying gardening, because a balcony is a great space to do it. Many people know about the patio, but there is no much difference between a patio and creating a garden on your balcony. You can use the same tips. The weather conditions will be one of the most important things you will need to put into considerations when planning your balcony planters. This is important because the weather conditions will determine which plants can survive and thrive on your balcony. You should consider the amount of sun the balcony is getting. You will have a wider range of options in plants when you have a balcony that gets a lot of sunlight compared to a person in a balcony that is getting less sunlight. There are some instances where part of the balcony is getting more sunlight than another. You should place the planters on the area getting more sunlight. If you are considering going with hanging or fixed on rails planters, then you can expect it to get more sunlight. More sunlight means more watering, especially in the months of summer. The types of plants you can have in your balcony will be affected by the wind you are getting. If your balcony is exposed to high winds, then you can get mesh or screens to reduce the amount of wind reaching your plants. Doing this will enable you to plant more types of plants that you could not with the high winds. Unless you are living on the top floor of the building, there is a good chance that the overhead balcony will be limiting the amount of rainwater the planters are getting. If you are in such a situation, you will need to water your plants more regularly, and you might be forced to add plant food because tap water has limited nutrients. If you have a small balcony, then you have to consider every space and make good use of it. With a small balcony, you can have a great balcony garden. One great option for people with small balconies is having the planters on railings or even hanging it from the ceiling. You should buy lightweight soils and compost when hanging the planters because of the weight restrictions. This is the most common type of planter, and it is similar to the ones you see on a garden patio. Containers and pots come in different shapes and sizes, and you can have them designed to fit your preference. If you choose window box planters that are heavy, you should place them close to the wall. You can also look got joints to provide support to these planters. Making a vertical garden is a great way to save space and plant more than you would have if you had chosen to plant just one row. When creating a balcony garden, you need to consider them. You will be able to plant a wide range of plants of a small space. You can have them fixed on the walls, or even using wooden pallets to build a shelf for the plants. Vertical planters will give you the chance of using a wall that you would have not used.